What if everywhere we saw the word ‘interview’, we replaced it with ‘conversation’? After all, an interview doesn’t have to be where one person asks all of the questions and the other answers. Rather, the best interviews seem to be discussions where both individuals can get to know each other better. 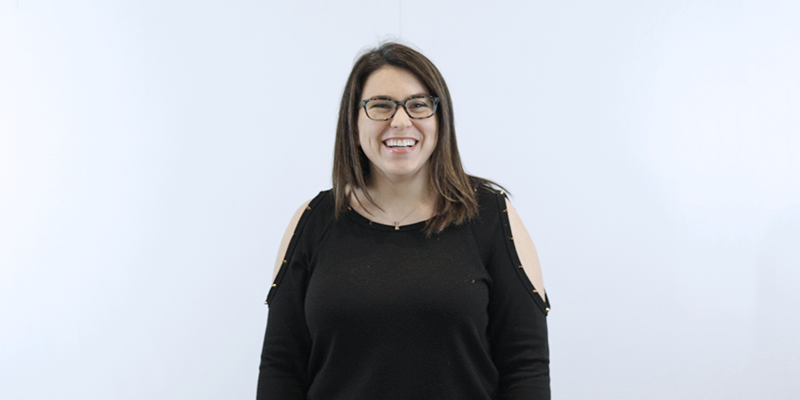 We recently sat down with Erica Gelb, an Account Director for 1E, to learn more about how to use an interview to find out if the job is the right fit for you. Erica started small with sales, selling sports fabric for NCAA teams. She’s built her career and her skill set, learning valuable lessons about sales in general but also about the interviewing process along the way. One of them is to be honest no matter what; the other is to take the time to turn an interview into a conversation. While the interview process is structured differently for each company, it’s likely you’ll meet with the direct manager of the role at some point during the process. Erica points out that this is a great opportunity to figure out whether you and your future boss will get along. “There are always those articles that say like 'people don’t quit jobs, they quit their bosses', and it’s true,” she says candidly. After working in sales for the past six years, Erica has found that a good manager can make or break your overall experience at work. If you can use the interview as an opportunity to get to know your future manager and ask candid questions about what it’s like to work together, it could help you learn more about their style of management and overall personality. While your future manager may not become your best friend, an interview is a great space to feel out the energy a person has. Can you see yourself working on a project with them? What does the first impression tell you? Erica recommends asking questions that could help reveal their management style and structure. For example, are there weekly one-on-one meetings? What are some of the ways they measure success? Understanding the way a manager operates and making sure there is some sort of chemistry during the interview could help you make a decision if they offer you the job later. Plus, a genuine curiosity and interest in the role is always helpful! Interviewing with other team members is another great opportunity to understand more about the dynamics of the workplace. When Erica interviewed at her current company, 1E, a position she found on Vettery, she remembers being impressed with their process. “They let me talk to one of the more senior reps who was in the office. It was just me and him and I felt like I could ask him real questions that I wanted to ask,” she says. Because your job is a place you’ll spend hours and hours each week, it’s important and completely fair to ask questions that matter to you, no matter how big or small, before accepting a role. Erica advises using the interviews you have with people in a similar position you’d be hired for as a chance to ask these kinds of questions. For example, maybe you’re curious about what time people arrive in the morning and when they leave at night? Make sure to feel out the situation, but usually an interview with a teammate is a great place to have a candid conversation about what the role is like. You owe it to yourself to find a place where you feel both comfortable and challenged. The people of a company are a huge part of the experience, so don’t be afraid to take time to get to know them while they get to know you.